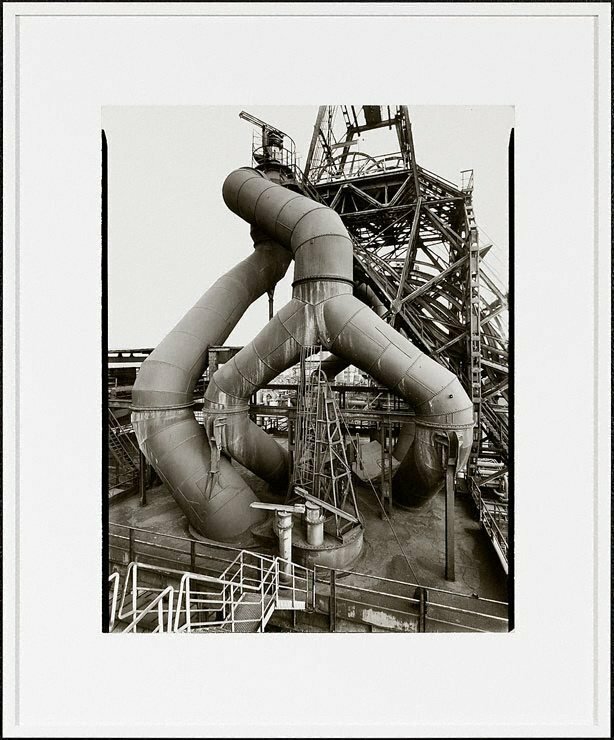 Since the early 1960s Bernd and Hilla Becher have collaboratively produced photographs of industrial and domestic architecture. 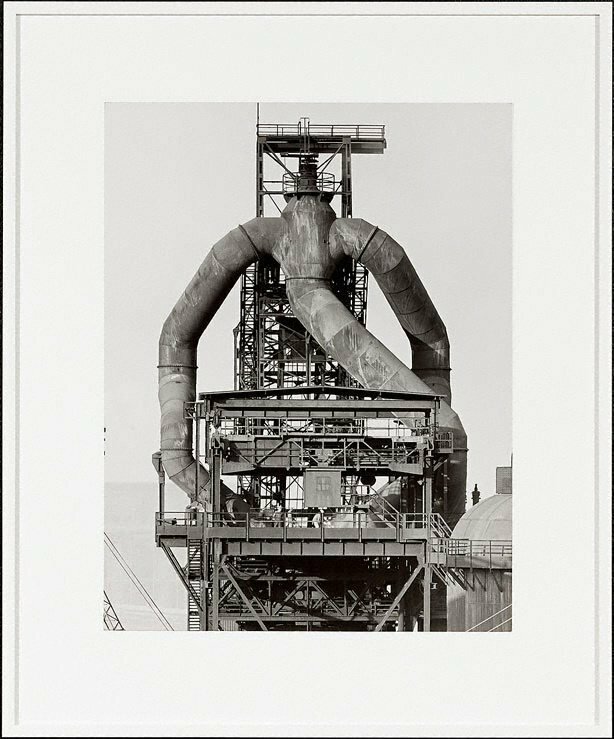 Their ordered images (which they call typologies) of bunkers, winding towers, silos, cooling towers and pitheads, record monuments of a rapidly diminishing industrial era. Yet the Bechers are equally driven by aesthetic considerations; photographs of like objects are assembled into groups where precise lighting and tonal density give equivalent weight to each visual element. 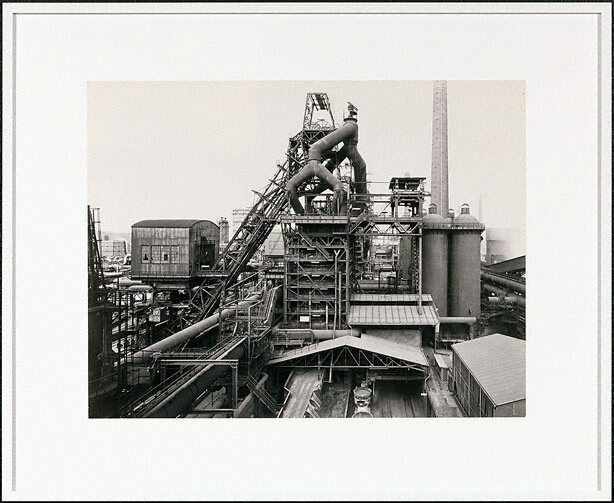 About this, Bernd Becher has said: ‘What we do is in the final instance to tell stories by … presenting things which tell their own (hi)stories’.1 ’Blast furnaces’, a set of five photographs, describes their unique approach. In three images a frontal view of a furnace from different perspectives dominates the frame, the sequence revealing its complex material structure. This, along with the clear skies, exact tenor of each print and eerie atmosphere devoid of human presence, is quintessential of the Bechers’ technique. 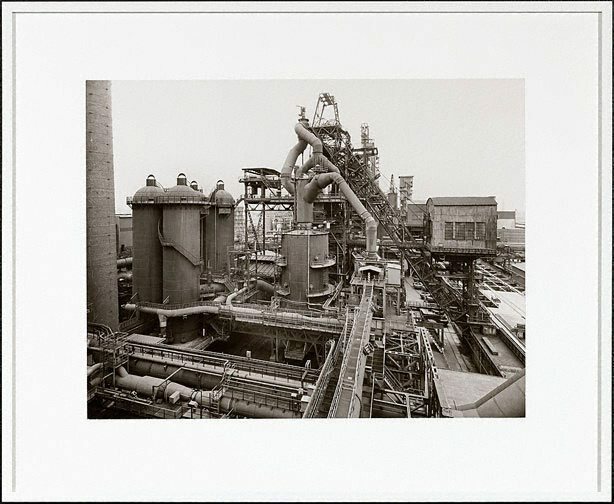 Given the encyclopaedic methodology of their life’s work, it is not surprising that the Bechers have photographed many major industrial regions in Europe, England and North America. Their typological practice has been associated with the formal and serial repetition espoused by minimal and conceptual art of the 1960s. Yet despite these connections their photography has sat largely outside trends in art practice, maintaining a rigorously systematic approach to its chosen subject matter. Thus they belong to a distinguished tradition of early 20th-century German photography, including August Sander, Albert Renger-Patzsch and Karl Blossfeldt, all of whom contributed in different ways to the definition of ‘objective’ photography. 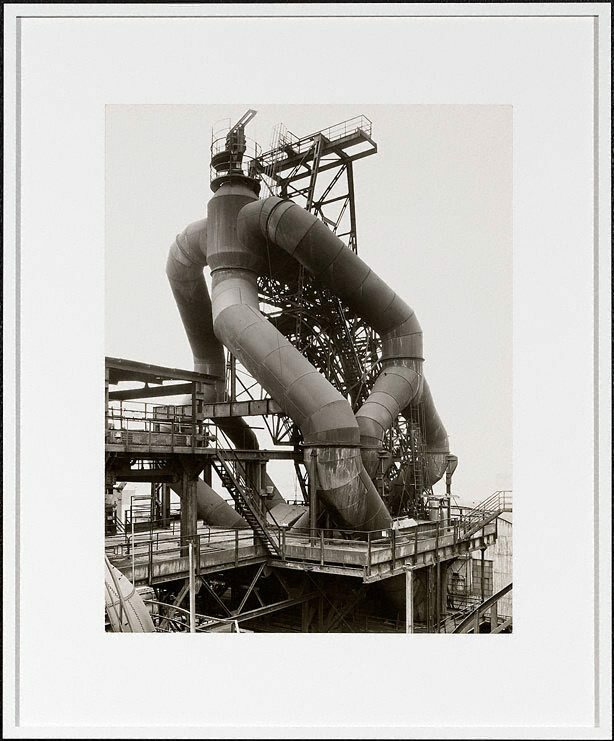 For their significant oeuvre and influence as teachers at the Düsseldorf Art Academy the Bechers have received numerous awards, most recently the Infinity Award from the International Centre for Photography, New York.